AASA toolkits provide pertinent information for the most pressing issues. They help you communicate important messages to key constituents. Many AASA toolkits are members-only resources. 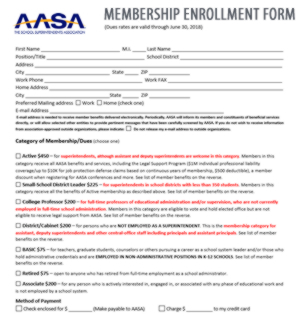 If you are not a member of AASA, join today! In response to the growing need to support classrooms across the country, especially those in low-income areas, AASA, The School Superintendents Association, and DonorsChoose.org are pleased to release a user-friendly, digital pathway designed to help teachers and school district leaders tap into much-needed funding to enhance their schools, and enhance teaching and learning excellence in their communities. The Back-to-School Crowdfunding Toolkit provides a guide for school district leaders on how they can support their teachers’ needs, advance their district priorities and access a national network of education philanthropists through DonorsChoose.org. This toolkit comprised of a set of online resources to assist school districts before, during and after a crisis. This package features a myriad of resources as well as a select group of safety leaders throughout the U.S. who are ready to provide peer-to-peer guidance about a variety of crises, including shootings, hurricanes, tornadoes, floods, fires, suicides and other major disruptions that come without notice. The Association of School Business Officials International (ASBO) and AASA, The School Superintendents Association, in partnership with American Fidelity, created a comprehensive guide to help school district leaders understand the ACA’s myriad healthcare provisions as the law affects K–12 employers. This toolkit was updated in June 2018 to reflect changes to the healthcare law from the 2017 Tax Cuts and Jobs Act, 2018 Bipartisan Budget Act, and 2018 Consolidated Appropriations Act. The toolkit contains fact sheets, key messages and talking point, which explain the campaign’s key objectives and share facts and figures about public education and the key issues at stake; communications templates for central office staff to utilize when communicating with their board members, local communities and the media; suggested social media messaging and images, which are easy-to-share across district and personal social media channels; and additional badges, templates and more. The Association of School Business Officials International (ASBO) and AASA, The School Superintendents Association, in partnership with American Fidelity, released a new resource to help school system leaders understand the Affordable Care Act's (ACA) Employer Mandate provision and other regulations of which district officials must be aware. Student safety includes ensuring every school adopts a Cardiac Emergency Response Plan (CERP) and continually reviews and improves upon the plan. The American Heart Association has created a toolkit for education leaders to utilize when creating School‐Based Cardiac Emergency Response Plans. Access these resources and more at heart.org/cerp. AASA in partnership with with the Children's Defense Fund have launched "Insure All Children," a school based child health enrollment and outreach toolkit for schools, supported by The Atlantic Philanthropies. Join the conversation on social media by using the #InsureAllChildren. Visit www.insureallchildren.org to explore the toolkit. The "Working Together for Student Success: A Back-to-School Communications Toolkit," from The Learning First Alliance is a resource to help educators communicate with their parents and communities. The toolkit contains advice for helping local school leaders and other educators publicize and explain their successes in implementing college- and career-ready standards and is designed to help shore up support for public education across the country, by showcasing innovative and effective programs in schools. Following the recent election, new state legislators will soon be arriving in your state's capitol. The best way to educate them about your district's needs is to tell them yourself. 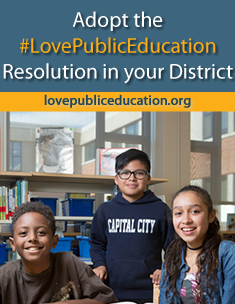 This toolkit includes letters to the newly elected legislators or returning legislators, fact sheets on ALEC, Common Core, state budget cuts, and school voucher programs, and a sample op-ed. CoSN,Consortium for School Networking, and AASA, The School Superintendents Association, released a new toolkit and related resources to assist current and aspiring superintendents in building their knowledge, skills and confidence as technology leaders for their schools. Titled “The Empowered Superintendent: Professional Learning Module 1: Five Imperatives for Technology Leadership,” the toolkit addresses the changes across the education landscape over recent years, covering key themes, or “imperatives,” of sustainable technology leadership. Two related tools, “Self-Assessment for Superintendents” and the “District Leadership Team Assessment,” are aimed at helping district leaders to evaluate their progress toward becoming effective technology leaders. This is the first in a new series of toolkits to help AASA members develop and disseminate their own messages supporting public education in their districts. This first toolkit focuses on school voucher programs, ALEC, and also includes an introductory section celebrating the successes of public education. Please contact Leslie Finnan with suggestions for future topics or resources. E-Rate provides ample resources to assist AASA members educate their stakeholders about E-Rate, a federal program funded through telecommunications companies that helps school districts afford communications connectivity, including the Internet. AASA applauds the Federal Communications Commission’s approval of the E-Rate Notice of Proposed Rule Making (NPRM). At a time when digital learning is significantly enhancing the quality of learning across the country, the action taken by the FCC supports efforts to modernize the E-Rate program, an integral component to ensure high-speed Internet access for our students. 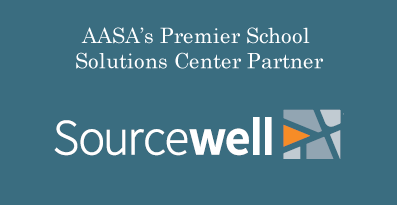 AASA Releases Back to School Toolkit: Telling the Good News! AASA members can use AASA’s latest back-to-school toolkit to highlight the successes of our nation’s schools and the students they serve, both in and out of the classroom. Resources include talking points, a presentation, sample press releases and op-eds, and more! Sequestration and the Schools. AASA released its latest toolkit, designed to help explain sequestration and to support member advocacy efforts. Driving K-12 Reform Through a College-Access and Success Agenda. The toolkit offers resources and strategies to use college enrollment data to, in our words, 'Own It, Understand It, and Act On It' for the purpose of improving K-12 and post-secondary outcomes. The toolkit has a self-assessment to gauge the current college going culture in your district, case studies, articles, and, on the final page, bold text links the reader to AASA webinars, federal regulations, and other resources that can help you and your team. Making Progress: Rethinking State and School District Policies Concerning Mobile Technologies and Social Media. Download PDF here. Advocacy Toolkit. The 2011 AASA Legislative Toolkit is a great guide for you to use on Capitol Hill as well as at home when advocating for high-quality education on behalf of all children in your district. Art Therapy is making a positive difference in K-12 educational outcomes. For practical examples on how to implement an art therapy program to address retention, special needs, bullying, autism, socialization and more, explore this new toolkit created by the American Art Therapy Association. You'll find art therapy programs that are working in urban, suburban and rural areas and funding strategies to put them in place. Help for Your Budget Woes. A School District Budget Toolkit. 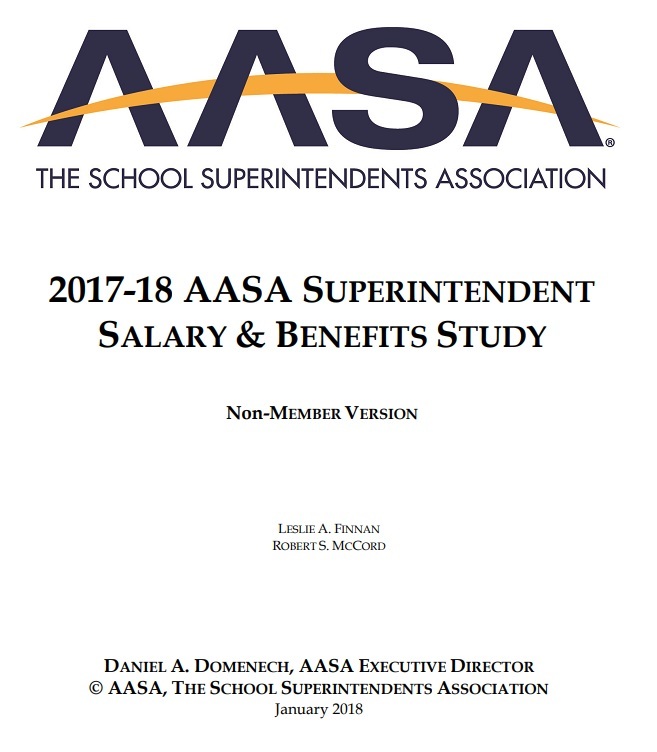 In a recent survey, AASA members asked for budget help in these tough economic times. Check out AASA's new budget toolkit, for examples of best practices in reducing expenditures, ideas for creating a transparent budget process, wisdom on budget presentation, and suggestions for garnering and maintaining public support for the district's budget. The toolkit contains real-life examples of how districts large and small have managed to navigate rough financial waters and offers encouragement anyone currently stuck in the rapids. This toolkit is available to AASA members only. Helping school districts access tax-credit bonds to finance the construction and repair of public schools. This Resource Collection provides school system leaders with a comprehensive list of facts, resources, policies, case studies and specific steps to take to improve IAQ. Designed to give school and district leaders tools to make school-community communication easier. Designed to help members of AASA and NSPRA engage in positive communications throughout the school year with key audiences. 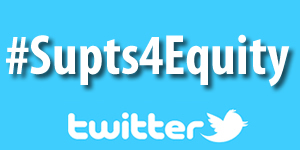 Designed to help school leaders spread the message about what's right with public education. Includes information about the reauthorization of the Elementary and Secondary Education Act and the impact of recent U.S. Supreme Court decisions on public schools. Support AASA’s Educating the Total Child campaign, advocate for the 2009 AASA Legislative Agenda and get up-to-speed on the American Recovery and Reinvestment Act. A one-stop online resource for school leaders to obtain information, forms and templates to communicate about asthma management in schools with staff, parents, the community and the media. Developed in partnership with Education.com, offers resources and tools to help parents take an active role in addressing bullying. Provides practical solutions to help school leaders address the energy challenges they face in their districts, with materials adapted from the 2008 AASA Energy Summit. Designed by the AASA Center for System Leadership to help school leaders become more familiar with the basic tenets of systems thinking and with the value of the systems thinking approach in leading and sustaining school improvement. 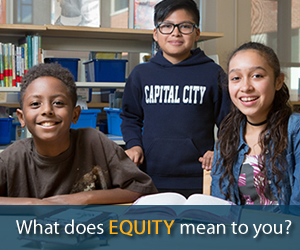 A powerful new toolkit from the AASA Center for System Leadership that highlights the role public schools play in teaching democracy to our youth and creating informed citizens. Designed to help school leaders effectively implement the final IRS 403(b) regulations for public school employee retirement plans. 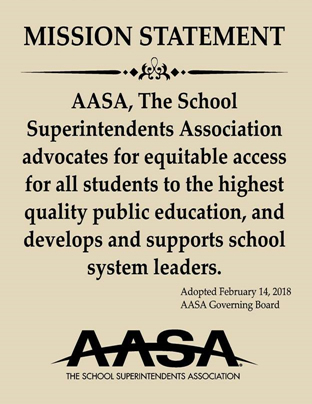 Through this project, AASA identified school districts with afterschool programs — both successful and troubled — seeking to understand what bureaucratic barriers these districts have faced and the behaviors of their school administrators and program leaders that helped to avoid and overcome barriers.